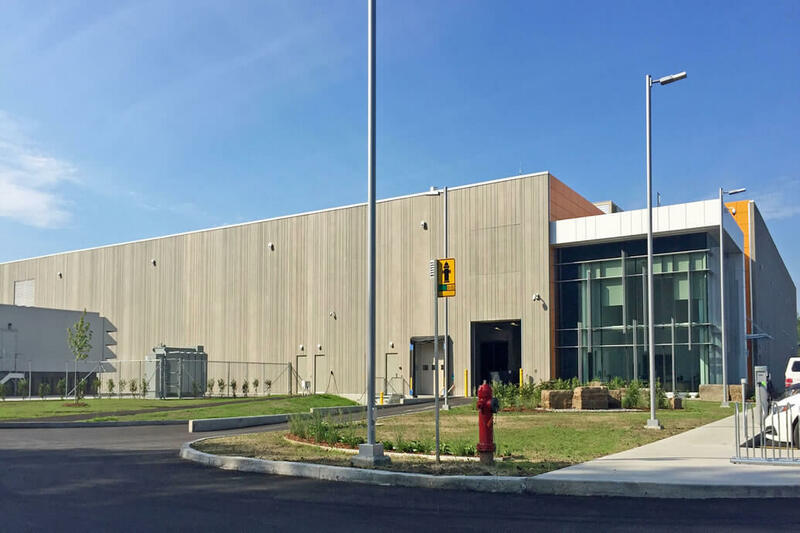 To protect Hydro-Québec’s data centre being built near Montréal, intelligent fire systems manufacturer Advanced has teamed up with Roberts Fire Protection (a division of Vipond Inc.) to provide fire protection to the installation. The world’s largest hydroelectric producer, Hydro-Québec generates over 99 percent of its electricity from water. Requiring a dedicated data centre for its operations, the company commissioned a consortium including Veolia, Pomerleau Inc. and Ehvert Mission Critical to finance, design, build and operate a new centre. Located outside Montréal, the centre will see its power capacity expand progressively from 1.6 to 4.5 megawatts (MW) over the 20-year contract period. Data centres are dedicated spaces where companies can keep and operate their ICT infrastructure. The environment is strictly controlled in terms of temperature and humidity and facilities usually include power supplies, backup power, chillers, cabling, fire and water detection systems and security controls. After a competitive tender, Advanced’s Québec partner Roberts Fire Protection was selected to provide over 200 smoke detectors, 120 horn strobes, 40 pull stations, 12 Vesda units, three network panels, a BMS interface, an annunciator and other ancillary equipment, all controlled by and linked to three Axis AX fire panels. The Axis panels are then integrated with a third-party control panel that operates the sprinkler preaction system. Advanced’s high performance, CAN/ULC S-527 certified Axis AX, is a complete system of fire panels, audio systems, command centres and high performance devices. At its core are intelligent single and multi-loop, networkable fire alarm control panels with a complete range of intelligent SLC loop devices, extensive peripherals, NAC and conventional devices. It offers multiple command centre performance, telephones, smoke and fan control, mass notification, graphical control and BMS interfacing.